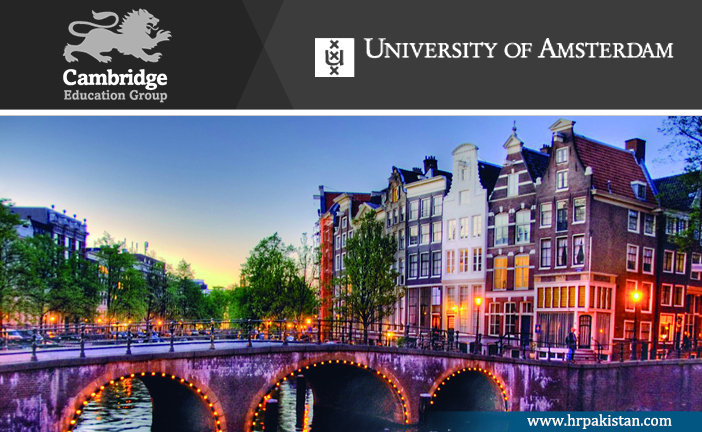 University of Amsterdam, Netherlands is offering professor position in biodiversity. The funds for this position are available for five years. Eligible candidates should submit the applications before January 03, 2019. TheInstitute for Biodiversity and Ecosystem Dynamics (IBED)is one of eight research institutes within the Faculty of Scienceat the University of Amsterdam. Our scientific research aims at a better understanding of the dynamics of systems at all relevant levels, from genes to ecosystems, using a multi-disciplinary approach where we combine both experimental and theoretical methods. We want to unravel how ecosystems function in all their complexity, and how they change due to natural processes and human activities. Within the Department of Theoretical and Computational Ecology we wish to appoint a promising candidate in the area of theoretical ecology. We will consider early career scientists with at least several years of experience after obtaining their PhD (at Assistant Professor level) as well as established scientists (at Associate Professor level). The Assistant Professor position is a tenure track position. Your research interests are complementary to the current research areas within the theoretical ecology group. These could concern the modelling of spatial population processes, the modelling of individual-level life cycle processes to explain population dynamics, or the modelling of evolutionary and eco-evolutionary dynamics of populations and species. Methods employed could range from agent-based models to structured population models. Note, however, that these are examples and other fields of research or methods within theoretical ecology will certainly be considered. Preferably, you develop ecological theory that is applicable acrossa range of different systems and you investigate how different levels oforganization within and amongindividuals,populations, and communities can be linked from an ecological and evolutionaryperspective. You are a scientist who is open-minded to working with various systems, you have access to scientific networks that can provide experimental data. You have a vision on how empirical data can be used and/or implemented into models, and on how hypotheses arising from model output can be tested experimentally. You have the right qualifications if you are a creative and inspiring scientist who can identify new directions, implement plans and motivate people, with a clear vision on how to take up the challenges and enhance new opportunities for teaching and research. A more complete description of the research profile may be found here. Depending on your qualifications and seniority we offer you a position as an assistant professor or associate professor for 38 hours a week in an exciting, dynamic and international research environment. If assistant professor is your entry level we will offer you a tenure track agreement for five years and a temporary appointment that lasts one year longer. After a positive assessment of the criteria of the tenure track agreement, a permanent appointment as associate professor will be offered. For more senior applicants, who have the necessary qualifications including evidence of academic leadership as well as substantial fund acquisition, we can offer an appointment at associate professor-level. In this case you will be offered a temporary appointment of two years that will be extended to a permanent employment contract after a positive assessment. For internal candidates a different arrangement can be made. Your full-time gross monthly salary would be between 3,545 and 6,567 gross per month, depending on the level of the offered position and your experience (salary scale 11, 12, 13 or 14). The Collective Labour Agreement of Dutch Universities is applicable, including a salary indexation of 2.6 % starting 1 February 2019.The annual salary will be supplemented with 8 % holiday allowance and 8.3 % end-of-year bonus. All application materials should be submitted as a single pdf to the link belowbefore 4 January 2018. Please quote vacancy number 18-679 in the subject field.